This post contains some affiliate links, which with purchases I can make profit. These small purchases can help keep this blog running. As always, all thoughts and opinions are 100% my own. It’s Tuesday… Teach Tuesday so I’m going to be sharing something educational with you. 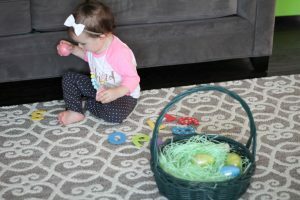 Since Easter is around the corner I thought I’ll theme my activities around things you will find in your house or easily at the grocery store. If you don’t have plastic eggs yet, snag some. I got big ones for this activity. The only other thing you need are felt numbers. I got mine from Target in that dollar section, but I also linked them below. Open each egg and fold the number into the egg. I put Izzy’s eggs into a basket the she could pull out. 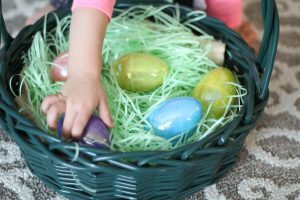 You could do an egg hunt in the house or outside if your child is very active and needs physical movement. After all are opened we would put them back into the eggs again. 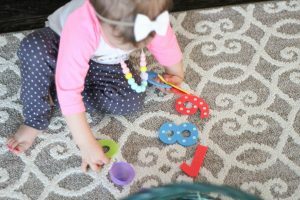 You can also do this activity with letters and have your child practice saying their letters. 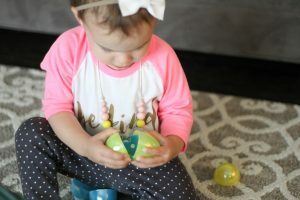 If your child has mastered their letters as they open the egg and reveal the letter, ask them to say the letter sound. Thank you Angel, Izzy had so much fun playing. Such a cute game! And loving these pics of Izzy! Love this idea. Can’t wait to do it when we get back. Doing this with Ryland this week!! Thanks so much! What a fun, educational game to play with kids! Isabella would love this! Oh great idea!!! We just did puzzle pieces in an egg and the boys had to open and assemble the puzzle! Will have to do this number activity too! 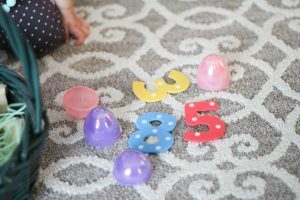 This is a great activity and I love that you put the numbers in the egg! You’re so creative! 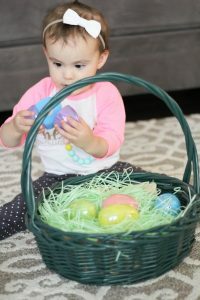 Such a cute idea- and finally another use for those leftover plastic eggs! Such a creative teaching opportunity!